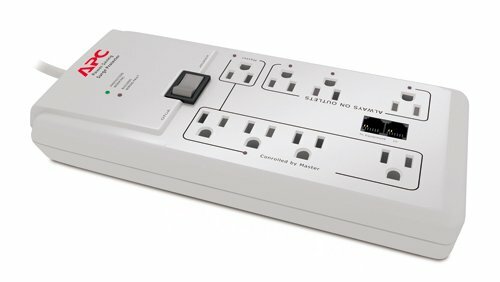 PROTECT ANY ELECTRONIC DEVICE FROM POWER SURGES & SPIKES: This wall tap surge protector doubles the number of available outlets over a traditional duplex wall outlet and also protects your electronics from power surges and line noise. 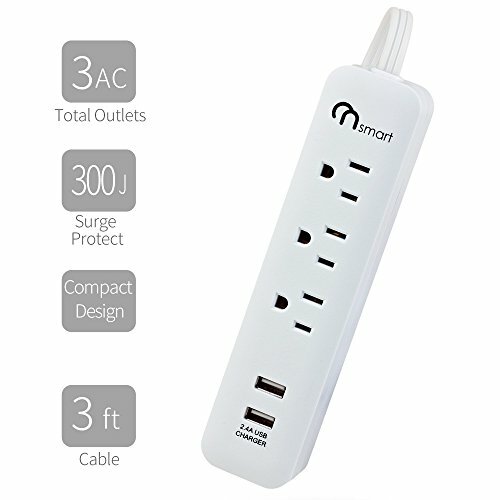 4-OUTLET SURGE PROTECTOR WITH SPACE SAVING SIDE-MOUNTED OUTLETS: Features four total NEMA 5-15R outlets in a slim form factor to accommodate two outlets on each side. 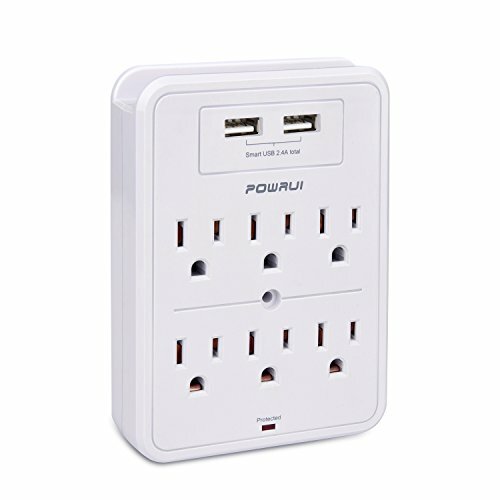 Plus, one side contains two transformer-friendly outlets. SAFETY FIRST! CONFORMS TO UL 1449 SAFETY STANDARDS: Automatic shutoff cuts power to outlets when the protection circuit has been compromised. Provides 720 joules of surge suppression to prevent voltage spikes from damaging your valuable electronics. Diagnostic LEDs indicate protection present & ground present. 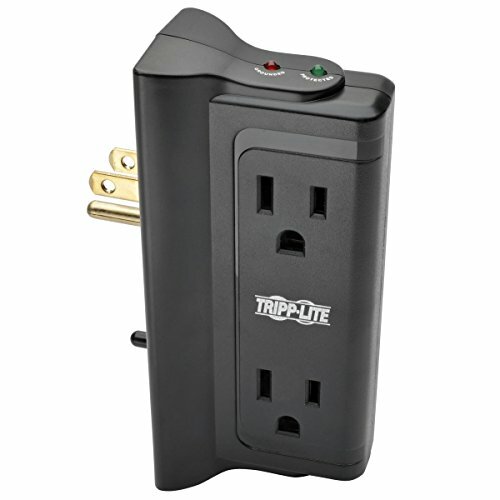 DIRECT PLUG IN DESIGN SAVES SPACE: This compact wall tap surge converts any standard wall outlet into a four outlet surge protector wherever you may need quality protection – ideal for a hotel room, dorm, or client office!